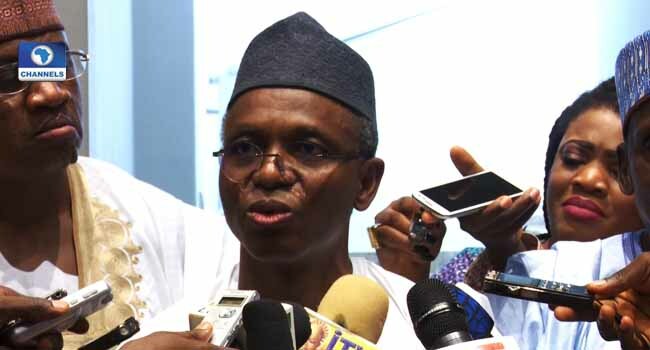 The Kaduna State Governor, Nasir El-Rufai, has dismissed recent opinion polls conducted by some local and foreign organisations which predicted victory for the presidential candidate of the Peoples Democratic Party (PDP), Atiku Abubakar. He described the prediction as false and not having statistical significance, saying the polls were engineered. He also asked Nigerians not to take them seriously. The governor said this when he received some members of the Buhari Support Group, led by the APC Deputy National Chairman, Senator Lawal Shuabu, at the Government House in Kaduna. He lauded the performance of President Buhari in the last three and a half years in office, saying he deserves a second term. He also stated that his acceptability across the country is an indication that he will win massively in the February 16 presidential election.